This campaign highlights the safety features of Tesla's Model S by engaging users in a thrilling crash course. 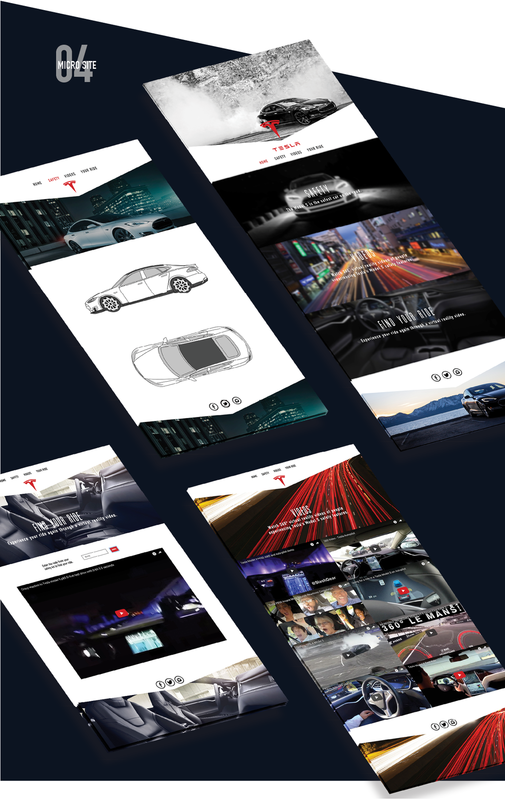 The experience will be extended online, with a microsite we coded from scratch, where they can relive and share their ride in Tesla's newest self-driving car. When users request car service to the event they will be randomly selected to get picked up by a Tesla Model S.
Upon arrival at their destination participants will be given a "Tesla Safety Kit", which will include a rider specific code to access the video of their ride. Not only will users be able to find and share their own video, they will also be able to experience the rides of others through VR videos. On the way to their destination, riders will be taken on a small detour through a demo course to showcase the Tesla's self-driving capabilities. During the drive rider reaction will be recorded with a 360 degree camera so they can relive their ride.